Bitcoin has been able to consistently generate new levels of popularity within the investment and tech communities over the last few years. In 2017, it has even been gaining interest among the mainstream media due to the unheard-of price increase that BTC saw over the course of the year and the traditional financial sector is beginning to start using Bitcoin as an asset. Bitcoin’s recent mainstream popularity and mass adoption have been a result of the revolutionary technological innovations made to the Bitcoin protocol. 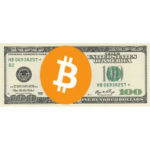 From the start, and with the help of a few important updates along the way, Bitcoin has managed to improve the way wealth can be spread as well the manner in which transactions between two parties are conducted and recorded. With all of the hype around Bitcoin and the decentralized blockchain economies it ushered in, there has also been an equal amount of negative press. Many people in the cryptocurrency world and elsewhere have been criticizing Bitcoin’s network and questioning its ability to handle the massive amounts of traffic that would be required for it to be adopted as a digital currency on a global scale. In order to understand some of the “flaws” in Bitcoin’s original design, we must first understand the many processes that contribute to its current inability to handle the scalability required to provide a true digital currency to the world. Bitcoin transactions are private & secure, trustless peer-2-peer transactions. The reason that Bitcoin can achieve safe and trustless transactions is due to the blockchain it is built on. Each time a Bitcoin transaction is relayed to the blockchain, “miners” (specialized computers designed to run at maximum capacity) compete to solve specially designed algorithms. These algorithms will verify the transactions and create a new block in the Bitcoin distributed ledger that is shared by all nodes of the network. The title “proof of work” references the fact that when a miner proves that they were the one that verified the transaction and created the new block (or blocks) in the chain, they are rewarded a small amount of BTC. This may seem like the perfect system for trustless peer-2-peer transactions, but there are still several issues. One of the biggest scaling problems Bitcoin faces has to do with the time and energy it takes to complete the mining and confirmation process. At the time this article was written, the average Bitcoin transaction took up to 15 minutes to receive one confirmation and had an average tx fee of between $10-$15 USD. In addition to the vast amount of energy required to mine Bitcoin and confirm transactions, the size of the blocks along with the amount of data/information each block contains is fairly limited. These blocks are currently about one megabyte in size, and they are what carries the transaction records of all Bitcoin transactions. A small block size limits the processing and storage capabilities, and further limits the scaling ability of the bitcoin platform. These small blocks are the prime reason that transactions become backed up and the steep prices that result from the delayed processing of transactions that are too large to fit into a single block. Because of these factors, the Bitcoin network is limited in the amount of transactions it can process per second. The maximum amount of transactions it can currently handle is roughly 3-7 per second. In comparison to industry giants such as Visa who can handle over 45,000 transactions per second, this pales in comparison. Recently, Bitcoin has been engaged in an ideological battle over how to handle its scaling issues, so what does the path look like from here? There have been multiple proposed solutions that aim to improve Bitcoin’s ability to scale and handle more traffic. The major issue when it comes to finding a solution for Bitcoin is that its underlying code is very hard to manipulate. Satoshi Nakamoto did not design Bitcoin with alterations or transactional malleability in mind, which was done purposefully to maintain the distributed, community governed nature of Bitcoin. With that said, the Bitcoin core development team has been very active in attempting to remedy the situation, with multiple attempts made at improving the structure of the Bitcoin transaction process. The SegWit, or segregated witness, was a proposed soft fork solution. Contrary to a hard fork, a soft fork creates new blocks that are recognized as valid by the old chain it is related to. In other words, a soft fork creates backwards-compatible blocks as to not isolate any sections of the old community. In this proposed scaling solution, the way in which data is stored on each block is altered. The signature data is separated from the other portions of transactional data, essentially freeing up space in each block. This results in improvements to transaction speed processing as well as lower transaction fees. Overall, SegWit is meant to improve the flexibility of the transactional process of Bitcoin. This would help improve efficiency and allow for more innovation to be achieved in the future. With SegWit, small changes can be made to each newly created block that improve the efficiency of the overall network. This protocol went live in July of 2017, at block number 477,120. 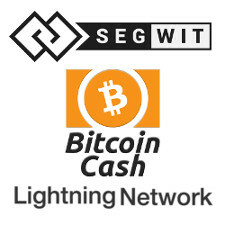 The SegWit solution has also allowed a much easier activation of another helpful upgrade, the lightning protocol. The main innovation of note in the lightning network is the ability for some of the data processing and transactional data to be handled off-chain. Essentially, it allows Bitcoin transactions to not ALL be recorded on the blockchain. This protocol opens up what is called a “payment channel” off-chain. The two parties involved in this payment channel bypass block creation and engage in transactions off-chain. These payment channels can be likened to a sort of locked safe, where each party can exchange into the box but are not given access to the funds until all activity is completed. 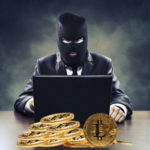 This removes any incentive of fraud, as the money would just be returned if attempted to be stolen prior to completion and insertion into the blockchain. The actual “opening” of the box and releasing of the funds occurs on the blockchain, visible to all nodes. Once all transactions are cleared and finished, they are brought back to the blockchain and cemented into the distributed ledger. The transactions can be performed at “lightning” speeds since they do not require block verification and recording at the time of the transaction. Instead of actually exchanging value instantly, the promise of value is stored off-chain in order to remove strain to the network. While the lightning network is a great improvement that will potentially alleviate a tremendous amount of strain on the network, the Bitcoin network still requires more blockspace and speed to effectively support an entire nation’s digital payment needs. In August 2017, the Bitcoin network split into two, as an audacious group within the community created a new currency called Bitcoin Cash (BCH). This new sister network to vanilla Bitcoin is incompatible with the previous version and will operate side by side with the original Bitcoin chain. One of the main reasons each block was originally limited to one megabyte was to keep the network democratically organized and to spread the contents of the blockchain to each participating node. This is what gives the “distributed ledger” its potential for change to society. While proponents of keeping the blocks the same size have reason for concern, the BCH champions argued that it would never scale if the block sizes remained so small and that these problems are becoming irrelevant due to improvements to energy consumption and processing power. The main goal of this new rival to the original Bitcoin network is to scale it into the future. They view themselves as the next step in Bitcoin’s development and acceptance into mainstream society. Their mission is to increase the block size and eventually overtake the original Bitcoin. Bitcoin Cash has experienced some technical problems since its inception, such as making it difficult to differentiate between BTC and BTH addresses, where some users have accidentally sent the wrong version of the digital currency. Overall the split of BTC and BCH shows the determination of Bitcoin to remain a competitor to more usable and malleable blockchain platforms such as Ethereum and Ark. Bitcoin Cash continues to attempt to differentiate itself from BTC by creating more unique addresses as well as increasing the efficiency of the network. However you look at it, the Bitcoin scaling problem is a fascinating experiment that demonstrates the struggles such a revolutionary technology is prone to experiencing in its infancy.